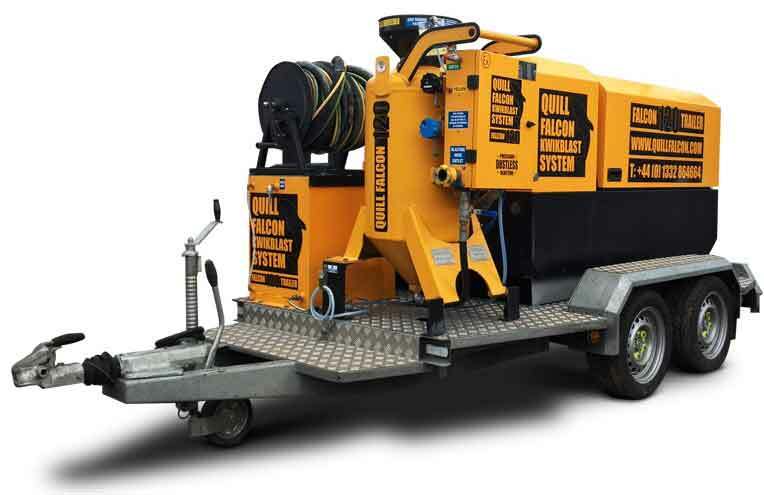 The Quill Falcon Cyclone 120 Trailer combines both power and convenience, and is one of the most widely-used of our Australian portable blasting machines. It is ideal for working in remote locations where convenient access to water supplies can be difficult. 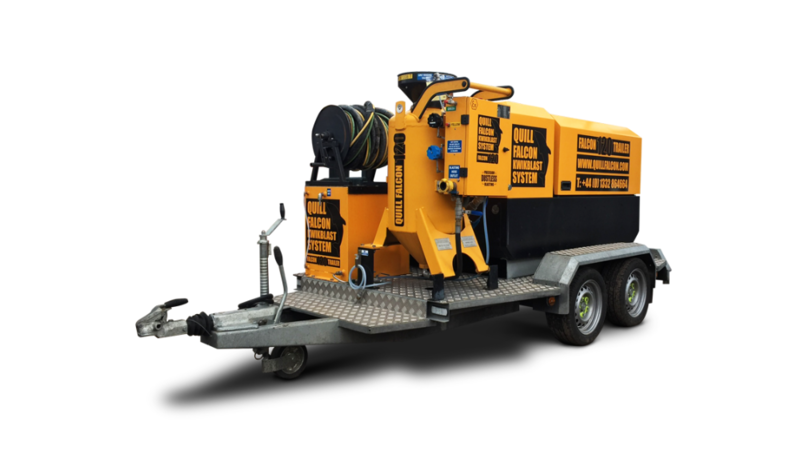 Featuring a Quill Falcon Cyclone 120 dustless blaster, a 115 litre water tank and a 177cfm compressor, the Quill Falcon Cyclone 120 Trailer offers self-contained mobile sandblasting, and is therefore ideal for demanding Australian working conditions.